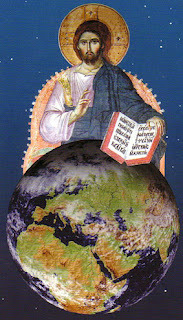 Bio-Orthodoxy is a website with a positive view of both Theology and Science. It was created to clear up the confusion on the relationship of Science with Orthodox Christianity. 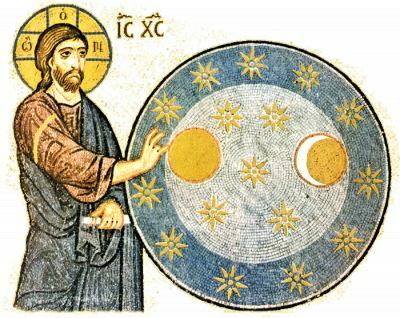 Orthodoxy has always had a very positive view of Science, but when there is an attempt to interact the two, boundaries are often over-stepped and confusion ensues. This is an attempt to help remedy the situation. Bio-Orthodoxy does not seek to instill one view or theory as far as Origin Science is concerned, but it does seek to view all things from an Orthodox Christian perspective. There are both positives and negatives to all current theories, such as Theistic Evolution, Intelligent Design and the various forms of Creationism, as well as evidence pro and con, and it is not the aim of this website to propagate only one theory, but to seek the truth in all things and "examine everything carefully" in order to "hold fast to that which is good" (1 Thess. 5:21). Bio-Orthodoxy is very much opposed to a naturalist and materialist worldview, but it will respectfully dialogue with such views to filter out the truth when it is offered. Orthodoxy believes that Christ is the Truth, and everything that is true and good in the world is of Christ and belongs to the Church. Truth and goodness can often be found in the most unpredictable places. Bio-Orthodoxy believes that Genesis, and generally all of Holy Scripture, is a book of Theology, and not Science or History. Theologically, it is infallible. Scientifically and Historically, it is limited in its view by the authors, but still valuable, since its contents and the way it presents things serve a higher purpose than mere human epistemology. Bio-Orthodoxy will primarily focus on the relationship of Theology and Science, and clarify issues in the Book of Genesis and examine issues that have to do with Archology, Anthropogony and Cosmogony. The primary purpose is to help people discover their true purpose in life and make clear the boundaries between the created and the Uncreated, creation and the Creator.